As the mother of an only child, I had one chance to get the first day of school right. There would be no learning curve for kids two, three and four… no second chances. So in preparation, I started digging into our bookshelves early so no book would be left unread. Sure, throughout the summer we had plenty of reads of Mrs. Bindergarten and her ilk, but my son and I collect vintage children’s books, and I knew there must be some titles in our backlist that were relevant to the future class of 2023. Out of the dozens of stories we sampled over the last few months, these were the ones that floated to the top, that I turned to over and over again in helping to usher my son into young-manhood. I hope they help with the first morning jitters. School’s a long row to hoe so you might as well drag a few good books along. I loved this book as a girl. Reading it to my son the night before his first day at kindergarten was a huge literary thrill, even if the story is a bit outdated. The kindergarten described in these pages is more like today's preschool. (Anyone seen how many graphs these kids are supposed to chart nowadays? Whew!) Regardless, this school is fun and full of singing, dancing, painting, napping and more! But you really can't go wrong if you're looking for a way to introduce your child to the concept of spending everyday someplace other than with you. Eloise Wilkin's charming illustrations would set even the most addled nerves at ease. 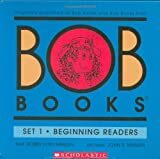 The Bob Books were created in the 1970s by preschool teacher Bobby Lynn Maslen as classroom aids for children reading for the first time. Since then, these books have passed through the hands of kids far and wide, with familiar characters like Mat and Sam helping them along the path to reading. My son LOVES them. The pride he feels being able to read a book on his own really helped prepare him for the start of school (even if he's memorized them all by now!) Not to mention the stories are hugely silly and the drawings even sillier. Nothing gets a child reading faster than the promise of a good laugh. Though penned in the 1970s, the theme here still holds water, maybe even more so, as school-aged bullying seems to be more rampant than ever. It's the story of small boy who is a mystery and an outcast to his classmates until he shares his love of birds, his talent and his heart. It's an inspiring lesson for any age on how if we trust and open ourselves to the world, we'll get love and acceptance in return. Even though we are all different, we are somehow all the same. A perfect first day of school read for any child who feels outside-the-box. Or any child who leans toward wanting to stuff their peers in one. And speaking of being yourself, here's one that's fun to read and write, penned by the master himself. Leading up to the start of school, filling in these pages with the details of their life helps remind a child of all the wonderful things about them. It can help in those crazy days of meeting so many new people and having to express thoughts and feelings to strangers. Plus, it gives you an excuse to sit down with your child and focus on them for a while, something they'll be missing in the years to come. I mean, really, how many shoelaces and buttonholes does your child own? That's something every kid should know. Burgin Streetman is a writer, a mother and the keeper of the blogs Vintage Kids' Books My Kid Loves and Scribbling in San Antonio. Visit her Etsy bookshop for her child’s vintage overstock here.